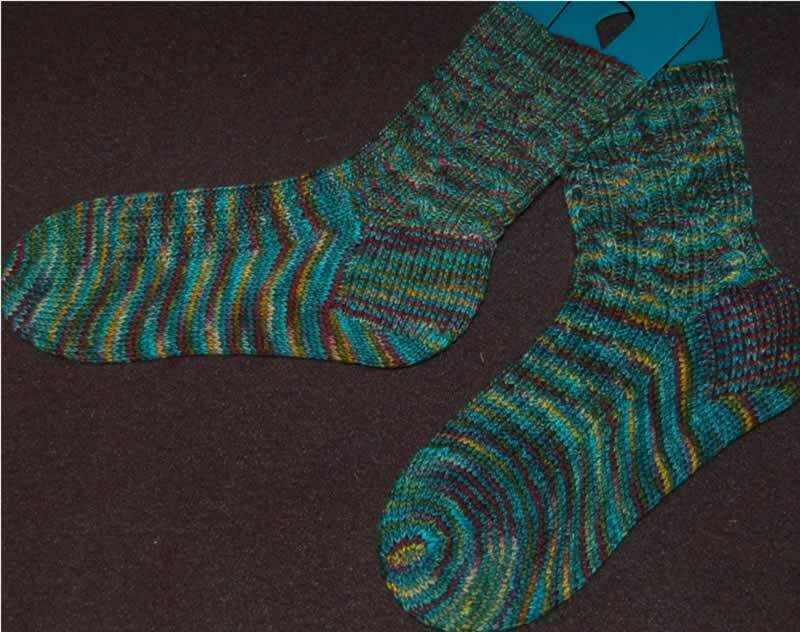 I finished these socks on the very last possible day, August 31. And I managed to get them posted to the SKP group with 90 minutes to spare. Notes: I started with US1 needles, but switched to US2 for the cuff and all of the second sock. The cabling made these socks less elastic then others. It was a fun pattern to knit.